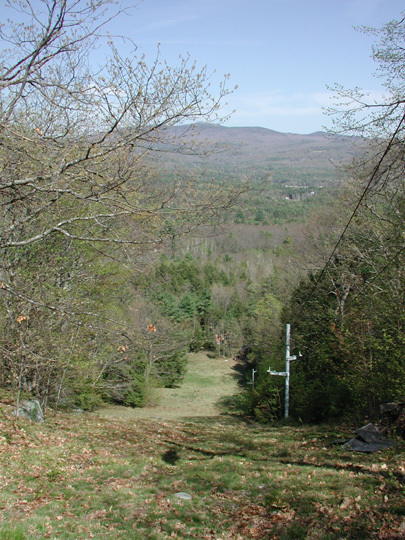 One of many "Pinnacle" ski areas, this area operated in Canaan with a T-bar and was run by the Cardigan Mountain School. According to Skilifts.com, in 1964 a Hall T-bar was erected that was 917ft long and served a 260ft drop, and could handle 600 skiers per hour. It was a classic Hall T-bar that was typical of many T-bars at that time. It was used primarily by the school for races, but also for student recreation. It is not known if the public could use this area, but that is doubtful, at least on a substantial scale. Unfortunately, the area closed at some point in the 1980's or perhaps the early 1990's, the exact date is unknown. 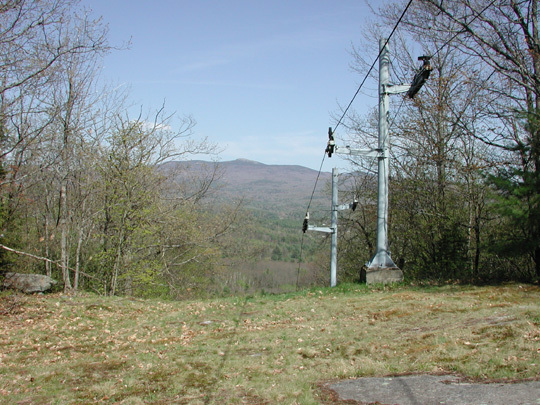 It is likely that a lack of snowmaking combined with other nearby larger areas for the school to train on led to its demise. Here's a Terraserver picture of the area. 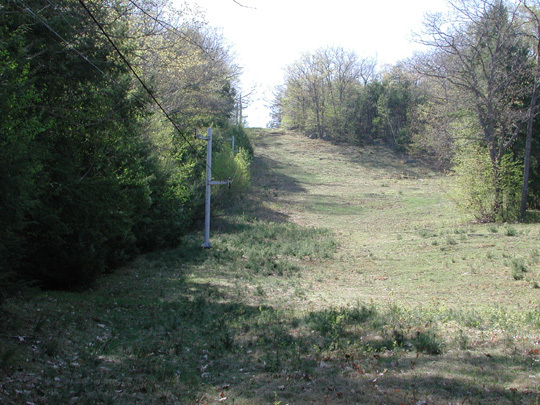 The T-bar served the slope on the far left. Two other trails came off the t-bar slope, one starting halfway, and one near the top. The trail at the top flowed down towards Canaan Street, then paralleled the street back to the main base area. It is hard to see that though on this picture, but is slightly variable in the woods. That trail was 2100' long. Most of trails are narrow and twisty, and are almost like a roller coaster. 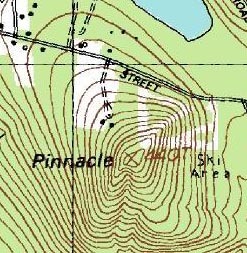 Here's the topo map of the area. Larry Rodman: I went to the Cardigan Mountain School, in Canaan, NH. in the early 1980's. 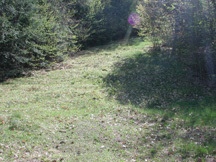 We had two ski areas (for details on the other, click here), one had a T-bar. I believe it was called Pinnacle Ski Area. It had 3-4 trails. 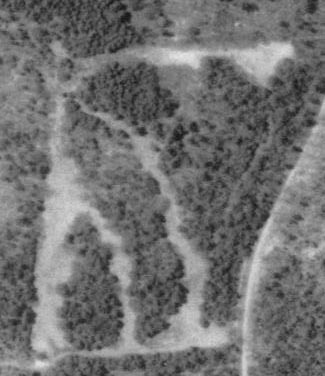 This ski area was located near Canaan Street Lake on the left (off Canaan Street I believe). At this area we used to have races against other schools. O. Bradford Edwards: I'm a teacher at Cardigan Mt. School in Canaan, NH. 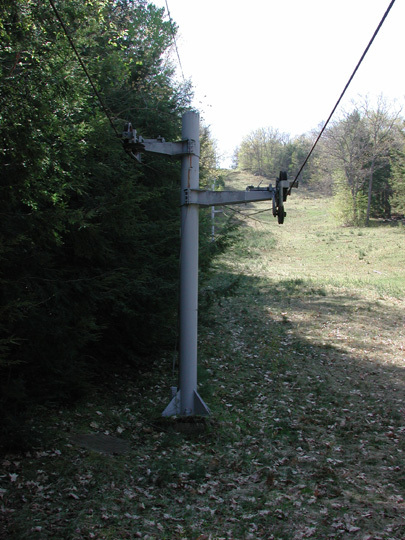 There is a small ski area that is owned by the school, but has been out of use for some time. The lift is still there but it's in disrepair. 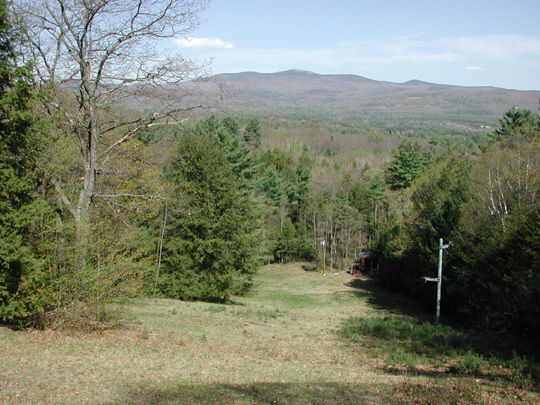 Rem Houser: There is a small ski hill on Canaan Street in Canaan NH. It is called the "Pinnacle". 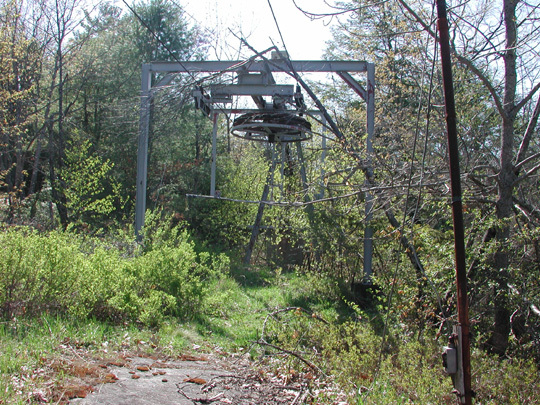 I am not sure how long it has been closed, but it had a t-bar and is owned by Cardigan Mountain School. The ski teams used to go there to ski, but it has long been closed now. It could be resurrected pretty easily. The cables are still on the lift. 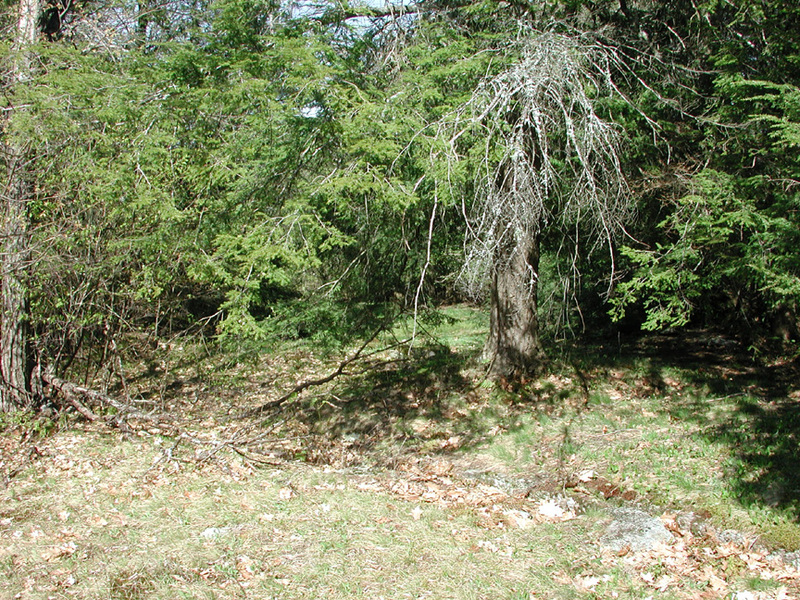 In early May, 2002, I was able to visit the area and take the following photos. 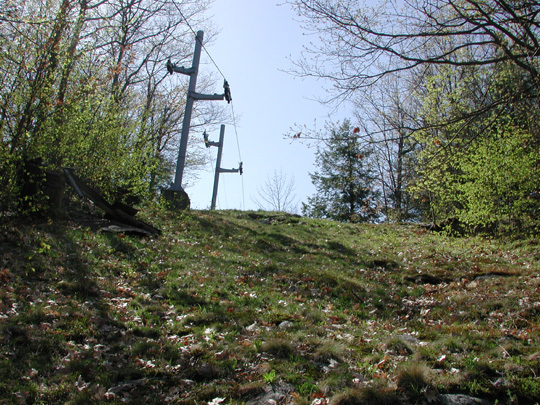 As you can see, the area was still being maintained, and the lift was in great shape. 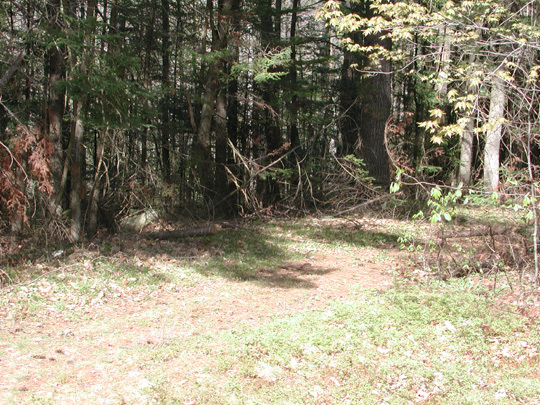 One of the trails ending at the base. Click for larger. The end of the runout trail along Canaan Street. Click for larger. 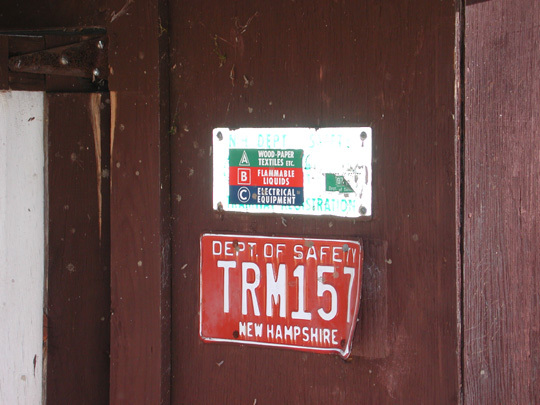 The license for the T-bar, #157 for the State of NH. 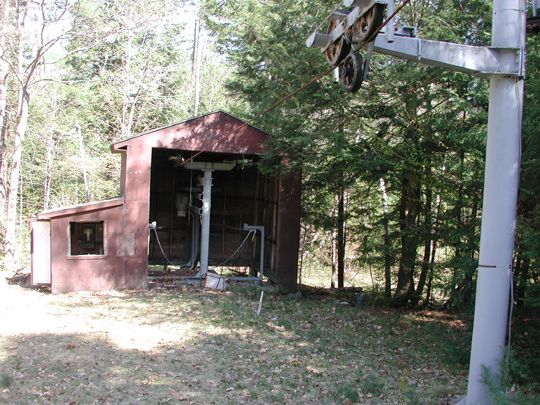 The base building/engine for the T-bar. No signs of the bars themselves. Looking up the T-bar and the main slope from the base. Closeup of a lower T-bar tower. 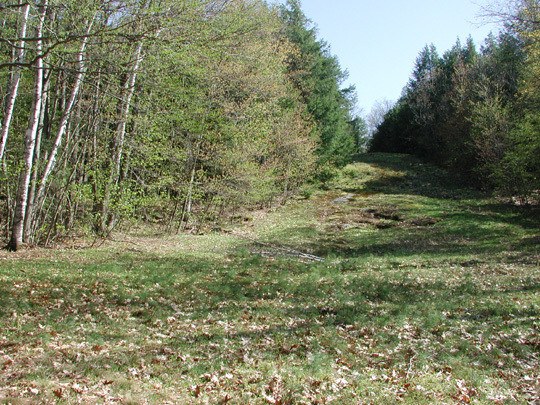 Looking down the lower third of the main slope, Cardigan Mountain in the background. 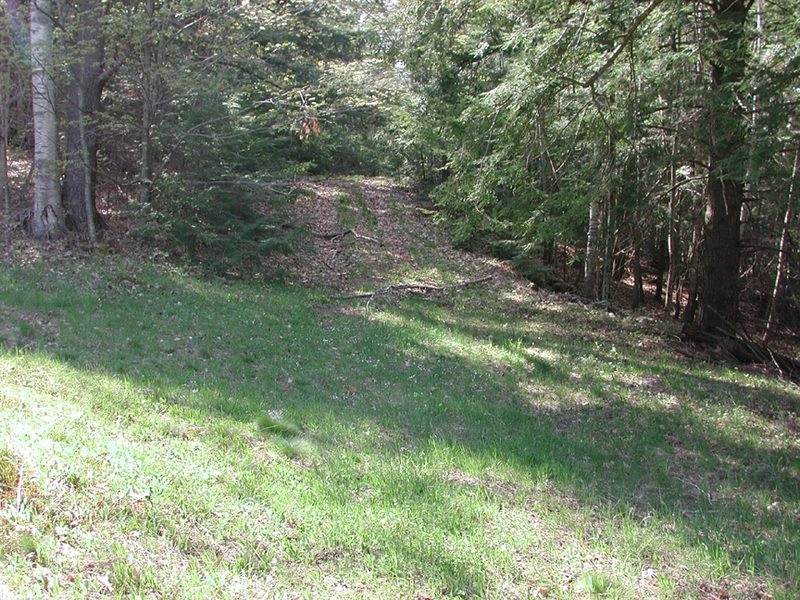 Looking down the lower two thirds of the main slope. Note the collapsed shack on the right. That could have been used for racing. The top of the T-bar, fairly steep here. Unloading area for the T-bar. 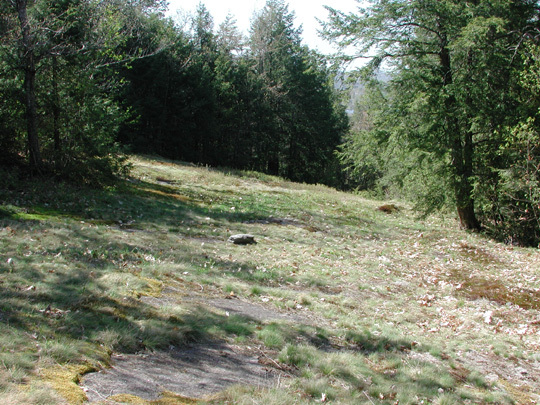 The "Perimeter" trail (real name not known) follows the edge of the area and ends with a long runout. Here is the entrance to the trail. 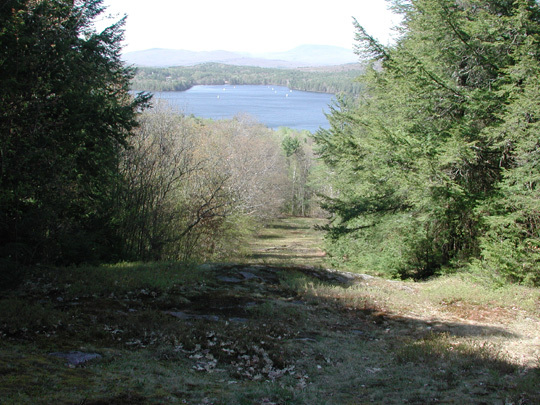 Here is the top of the trail, looking out to the Canaan Street Lake. Scenic shot! Looking up the perimeter trail from the start of the runout. This may have been used for racing too. 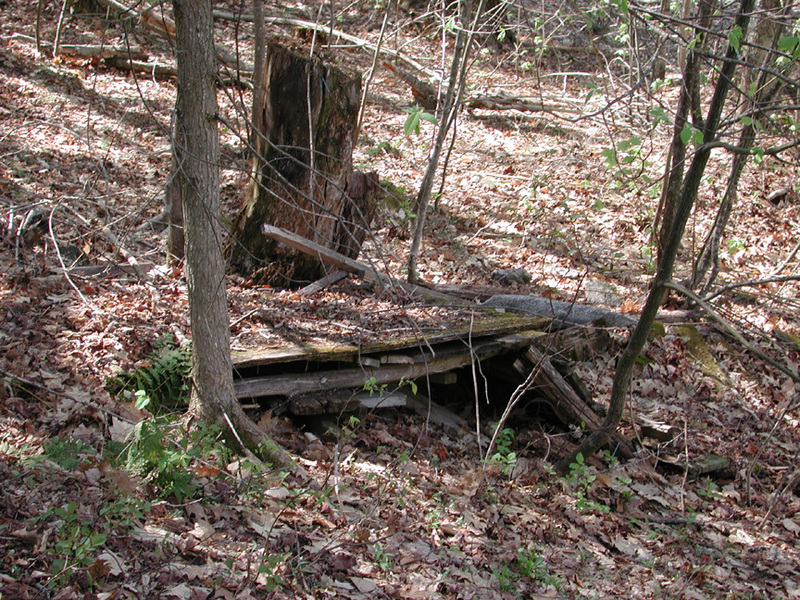 A collapsed shack was found at the bottom of this trail. Click for larger version. The runout trail is quite flat and parallels Canaan street. Here is the start. Looking down the runout trail. 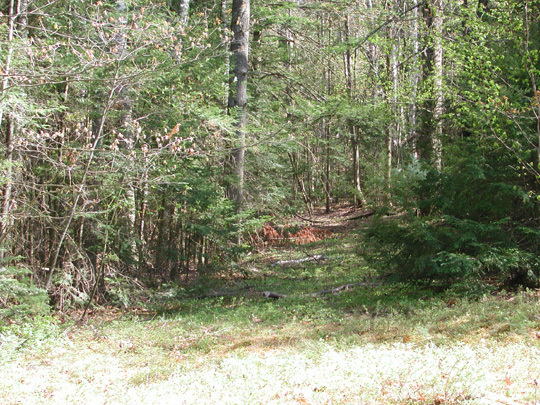 This is the top of the longer narrow trail in the woods. Click for larger version.